Liverpool deli and restaurant Delifonseca is celebrating victory at the Guild of Fine Food’s Shop of the Year Awards 2018. The Dockside based restaurant and food hall was crowned Delicatessen of the Year with judges describing it as well stocked and easy to navigate with a great butchery experience in the form of its Edge & Son concession, whilst Deli Manager Clare Jones also received the highly acclaimed award for Retail Hero. 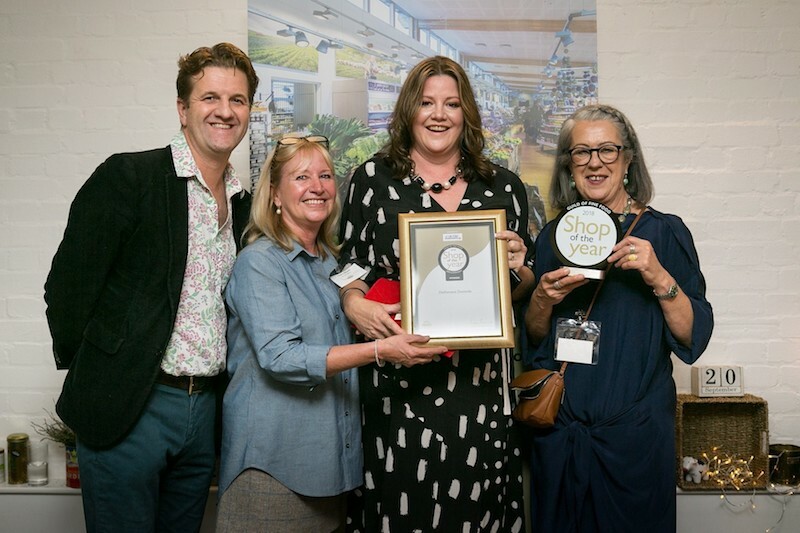 Out of 150 overall entries, 42 independent retail outlets around the UK were shortlisted across a total of four categories that recognise retail excellence. Proprietor of Delifonseca Candice Fonseca said: “It is always fantastic to be nominated for awards such as this but to win is a huge testament to the work of the entire team at Delifonseca Dockside, particularly as we were up against some great competition from all over the UK and Ireland. The quality of candidates that were shortlisted for these prestigious industry awards are incredible, which makes our duo of wins all the more significant. Delifonseca’s success at the Guild of Fine Food Awards follows the announcement of this year’s shortlist in the Merseyside Independent Business Awards with the Dockside food hall also making the list for Retailer of the Year. Candice added: “Delifonseca has been operating now for over 12 years in Liverpool and we like to think that over that time our restaurant and food hall have played an integral part of the expanding foodie scene in the city. To win national awards over a decade in to this adventure makes the next stage and upcoming expansion of Delifonseca Dockside all the more exciting and necessary. The team are a brilliant, passionate bunch and it’s great to be able to take them on this journey by building a larger, new and improved food hall, kitchens and restaurant. We can’t wait for the next chapter”. For more information visit www.delifonseca.co.uk or call 0151 255 0808.